We are the address in Munich, specialized in the purchase and sale of brand watches, gold & diamond jewelery. Most of these items come from business dissolution or private ownership. Through our international cooperation with other watchmakers, we are also able to search specifically for your desired watch. 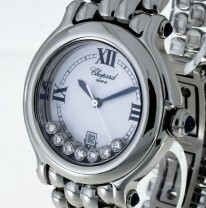 Our goal is to provide you with exclusive brand watches and high-quality jewelry at favorable conditions. We also offer trade-in and commission sales, in individual cases we also buy directly. You can buy and sell trustworthy at Uhrenworld Munich for over 20 years. Thousands of satisfied customers can not be wrong, come to us and find their desire luxury watch, or dream jewelry. We would be delighted to advise you in detail and look forward to seeing you with no appointment, your Uhrenworld team.